Really? 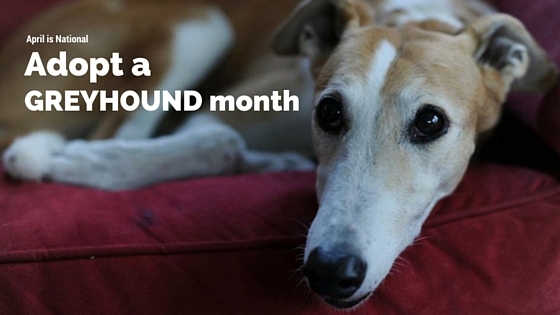 April is all about Greyhounds? Yes! Every year in April, the world of pet adoption takes some time to recognize a very special breed. The greyhound. Many people know the greyhound breed as the second fastest land animal (behind the cheetah) but what many don’t know is retired racing greyhounds make excellent pets. With approximately 20 racing tracks still in existence in the US, the industry estimates the need to place nearly 8,000 retired racing greyhounds per year. You can help simply by sharing this special message from Cal the Greyhound who is seeking a long term relationship.